To span the growing season, we put together a collection of four of our favorite raspberries. You get three plants each of Heritage, Fall Gold, Killarney and Jewel . Learn how to plant and grow raspberries from Burpee's expert horticulturist. 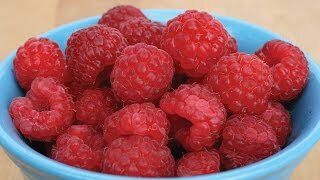 Raspberries may be planted as bare root or potted plants. Plant black and purple varieties 100 feet away from red and yellow varieties. Set roots 1-3 inches deeper than formerly grown. Keep plants well-watered during the growing season, especially during dry spells. Plants need about 1-2" of rain per week during the growing season. It's best to water with a drip or trickle system that delivers water at low pressure at the soil level. If you water with overhead sprinklers, water early in the day so the foliage has time to dry off before evening, to minimize disease problems. Keep the soil moist but not saturated. Do not prune the first year EXCEPT to remove dead, damaged or diseased wood. Each spring select 5 or 6 of the most vigorous new canes and cut them back to 30 inches tall. All other canes can be removed. Remove and destroy canes immediately after they fruit in their second summer. They will not bear again. Add a summer topping to encourage side shoots off the canes to the pruning done in early spring and after harvest. Pinch back 3-4 inches off shoots up to 24 inches tall. Each spring select 5 or 6 of the most vigorous new canes and cut them back to 30 inches tall. All other NEW canes can be removed. Do not remove last year’s fruiting canes- they will fruit again in early summer. Pinch back 3-4 inches off their lateral branches. Expect new canes to fruit in the fall of their first year and in early summer of their second year. Remove and destroy old canes immediately after their second fruit in early summer of their second year. They will not bear again. Cane fruits may need support to help prevent against wind damage and make for easier harvest. Tie canes to wire that is strung parallel between two posts at either end of the row. Raspberries ripen on the plant at different times through the season in summer. 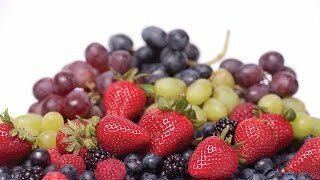 Berries ripen quickly and are highly perishable. Pick frequently and discard berries that have rotted on the canes to prevent diseases. Hold the berry carefully between your thumb and forefinger and pull. Berries are ripe when they are easily pulled from the core without getting squashed. At their ripest and sweetest, berries are plump and turn the deepest color, depending on the color of the variety. Expect to harvest at least twice a week. Raspberries may be frozen or used for preserves. Raspberry, Favorite Collection is rated 2.5 out of 5 by 15. Rated 5 out of 5 by Lmali from Pleasantly surprised I took a gamble on this collection this past spring- the reviews are, I think it's fair to say, more than a little lackluster. They were on sale though and I had spring fever so I took the plunge. VERY pleased with the results thus far. It took a while for any of the 12 plants to break dormancy after planting, long enough that I honestly was beginning to wonder if any were going to survive, but all 12 pulled it out in the end. So now at the end of my first year growing this collection, here are my results: Fall Gold- actually got 2 harvests out of these! First harvest in July, second harvest in September. These are the best raspberries I've ever tasted, so sweet and succulent and so much more complex than your standard red raspberry from the store. None of the plants are very tall (they're all hovering around 2 1/2 feet right now) but we had a cold and wet spring and summer and it took them a long time to get going. Killarney- these took the longest to get going, nearly a month behind all the others. They were the only plants not to give me any berries this year, but they're also a significantly taller than any of the others. Fingers crossed for next year! Heritage- got two harvests out of these too! Harvest 1 was in August, and harvest 2 started in October and we didn't pick our last berry until November 6th. Very nice taste, my daughter is absolutely in love with these. Jewel- got a small harvest off of these in mid-summer, but since they were barely a foot tall at the time it was only a small handful. They really took off after that though, all of them have multiple canes and none are shorter than 4', and one particularly hardy plant has two canes that got to 6' tall, turned over and headed back down, and I let them tip root. The canes are a gorgeous, blazing purple too that looks fantastic in my front garden bed. Overall I'm quite pleased with how this turned out, especially since I wasn't expecting much. Looking forward to next year and hoping for a bountiful harvest from all four! Rated 1 out of 5 by BKing from Bare root raspberry Only one of the bare root raspberry bushes actually grew. The rest died. Rated 1 out of 5 by tommy7 from Dead roots I got these this year and I must say it was one of my worst decisions EVER. I know how to grow and raise raspberries as all of my childhood I helped my grandfather. We transplanted the wild black raspberry and had great success. PLEASE DO NOT buy these Only two out of twelve actually grew, not good odds at all. Rated 3 out of 5 by Carolyn2052 from Love berries of all kinds the plants we received that lived they have done really good But only about one half of them lived they are growing and are very pretty and by next year I hope that we will have several berries to pick. Rated 2 out of 5 by BeckyB from More than half never grew I received my shipment earlier this spring and planted them in well-prepared beds, adjacent to active berry patches. To date, 7 of the 12 plants have not broken dormancy at all and those that have are only about 6 inches tall. The adjacent patches have already flowered and are setting fruit. What a disappointment. Rated 2 out of 5 by nemeerkat from Half of the Raspberries never sprouted at all and all were very slow. Did receive a refund proportional to the plants that did not grow, but very disappointed that I now have to wait for another year to get them started. Hopefully the ones I plant next year will do better.